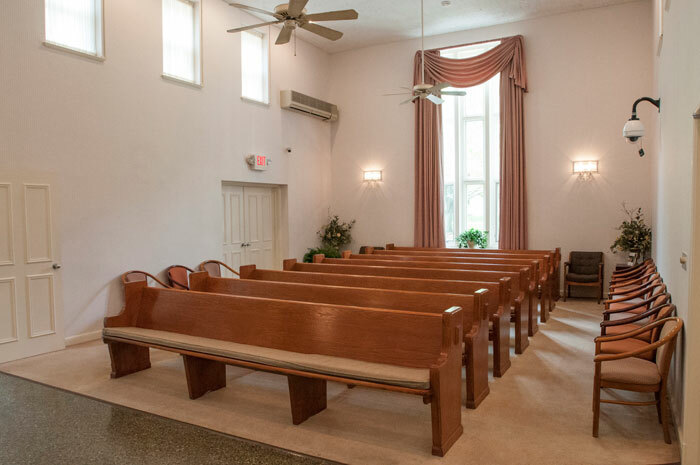 The newly renovated chapel, simply and graciously decorated, is available for a variety of final sacred services presided over by clergy of any faith. It is most often utilized for final prayers and viewings. The witnessing room was designed to provide privacy. It permits families to observe the start of the cremation process. Several ethnic and religious groups require that a family member institute the cremation process, and it was built to facilitate that requirement.